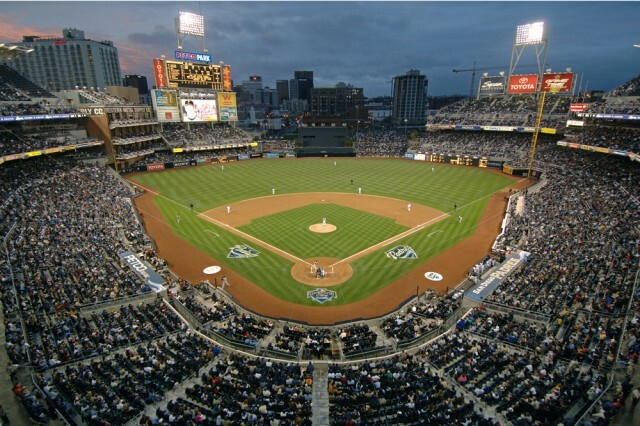 It’s been a busy offseason for the San Diego Padres and everyone is getting excited about the additions of Matt Kemp, Justin Upton, Wil Myers, Derek Norris, Craig Kimbrel and the humongous new screen in Petco Park! If you are lucky enough to be here in San Diego this weekend, here’s what’s going on during the 2015 Padres home opener series and also what’s new both inside and outside Petco Park. To kick off the 2015 home season, the San Diego Padres will take on the current World Series Champs, the San Francisco Giants. While the home opener on Thursday has been sold out for some time, there are still tickets available for the remaining three games. 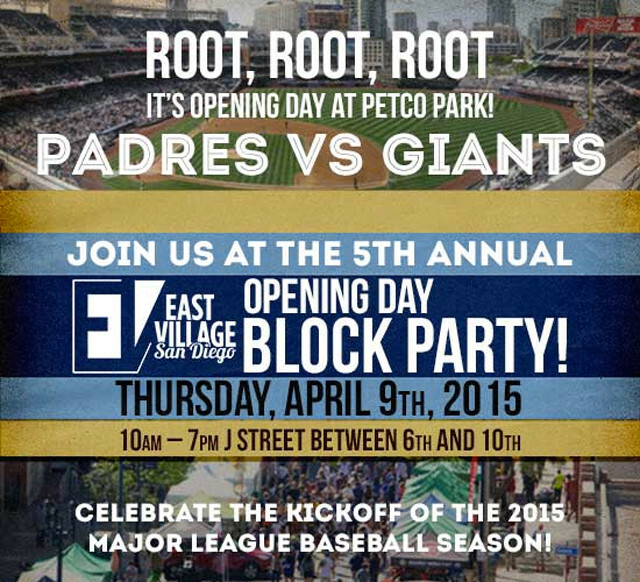 For the fifth year in a row, the East Village Association celebrates the opening of the MLB baseball season as the San Diego Padres open the gates of Petco Park to host the San Francisco Giants. Show your team pride and “root, root, root for the home team” as the East Village kicks-off the party. Local FM radio station The Mighty 1090 will be broadcasting live from the block party. Specialty baseball-themed cocktails from 619 Vodka, San Diego’s ultra premium vodka. Country music themed block between 7th and 8th Ave. Plenty of interactive games and entertainment! The new screen out in left field is impossible to miss. At 61-feet tall and 123-feet wide, baseball fans will be able to see the game up close no matter which seat you are in. Are you more into handcraft cocktails and not craft beer? 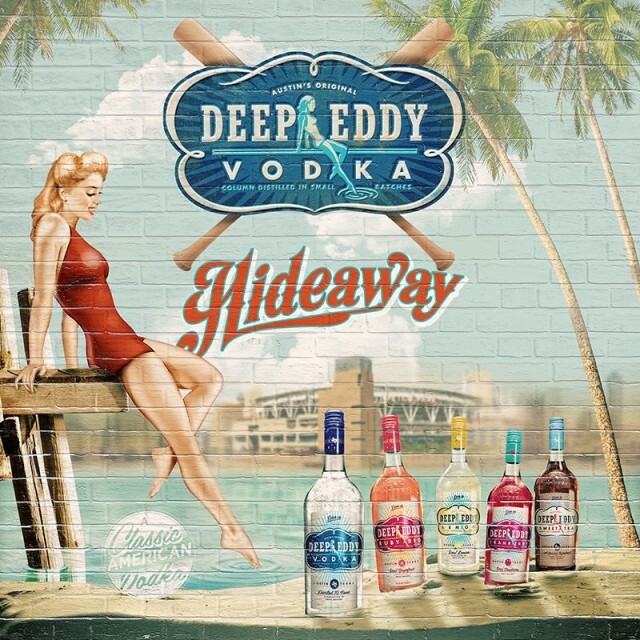 Then the new Deep Eddy Vodka Hideaway in the left-field corner terrace is the place to you! The signature cocktails will be made from Deep Eddy Ruby Red and Deep Eddy Lemon vodkas, both crafted with real California Grapefruits and lemons. If you don’t want to miss much of the game walking to the Hideaway, the cocktails will also be available at all the bars throughout the park. What to Expect: Everything Italian from a salumeria to wood-fired pizza to fresh seafood. What to Expect: A traditional Irish countryside pub with a lineup of in-house craft beer. What to Expect: Cocktails, Craft Beer, Great Food, and Good Tunes. What to Expect: A rooftop oasis featuring drinks from sunny places. This entry was posted in Culinary, Golf & Sports, San Diego Events and tagged downtown by Brent Bernasconi. Bookmark the permalink.